William the Dog Trainer: Skype Dog Training Consultations Now Available!!!! 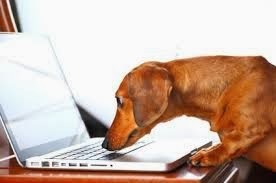 Skype Dog Training Consultations Now Available!!!! Where is the "treat" key? I am pleased to announce that I am now offering Dog Training consultations via Skype! This allows those of you who are outside my home travel area ( 20 mile radius from the intersection of Westbridge Rd and Hwy 92 N in North Fayette County) to purchase my services without the added travel expense. The Skype video conferencing is also an additional low cost option for busy people who just need a few minutes of advise to help them achieve a polite dog. Remember, I always say " Polite Dogs = Happy People". Let me help you become happy today! For more information see: http://fayettedogtrainer.blogspot.com/p/dog-training-consultations-via-skype.html.